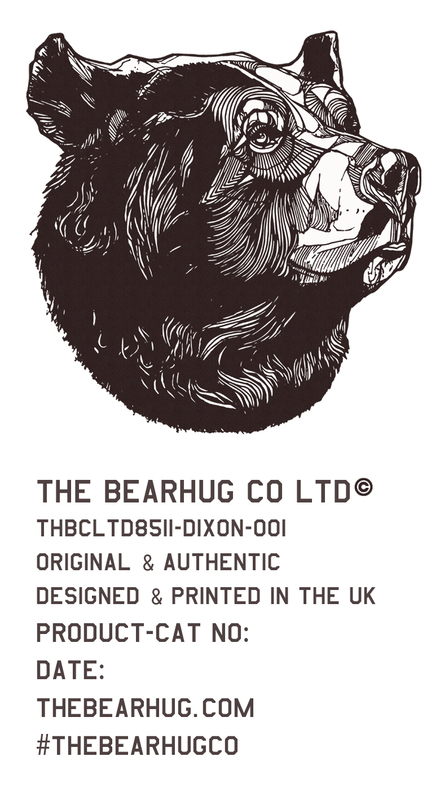 The BearHug Co is a company specializing in unique prints and clothing featuring designs by Graphic Artist Luke Dixon. Luke started the business in 2011 soon realized there was a market for his distinctive designs. The BearHug Blog features a mix of articles on subjects that interest us including music, clothing and culture. You can also expect to read a bit about friends and fans of The BearHug Co who we think deserve a bit of attention.